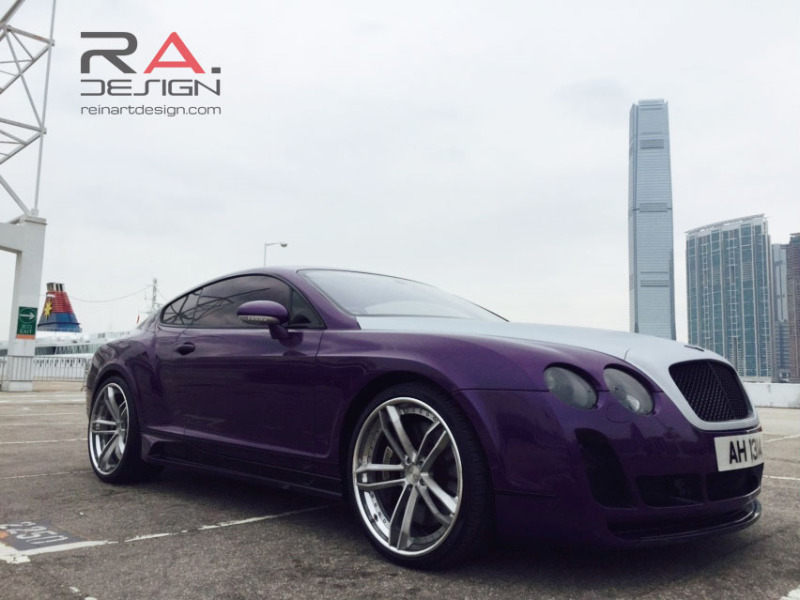 This Bentley Continental GT came rolling into our shop wanting to be a little more flamboyant. 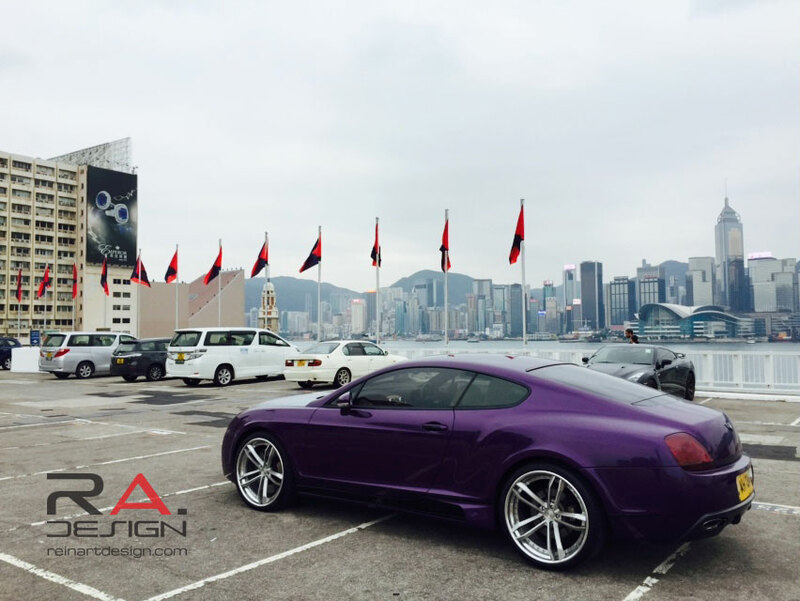 With a little planning, we think we have come up with something that suits the owner well. 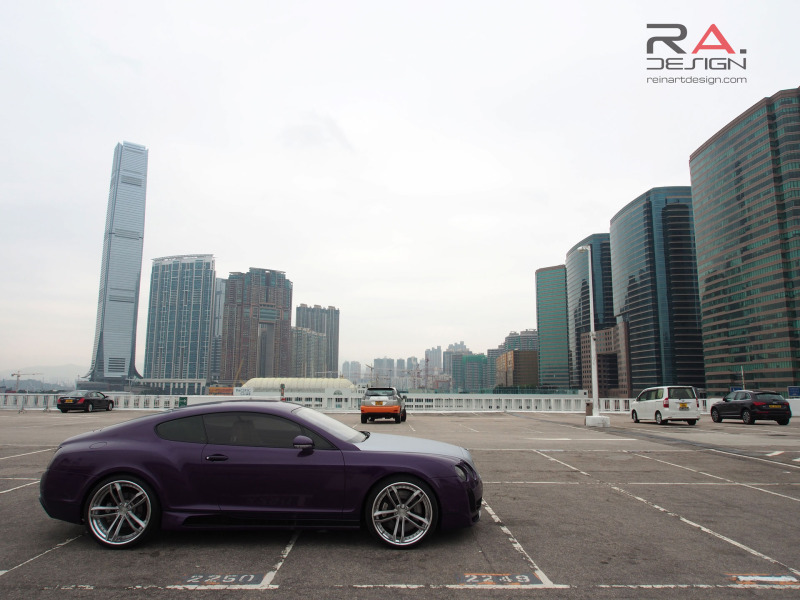 We had originally planned to have aÂ WALD kit for this car but as there would be a long wait for theÂ production and delivery of the kit, we were able to source a Vorsteiner body kit for the car. 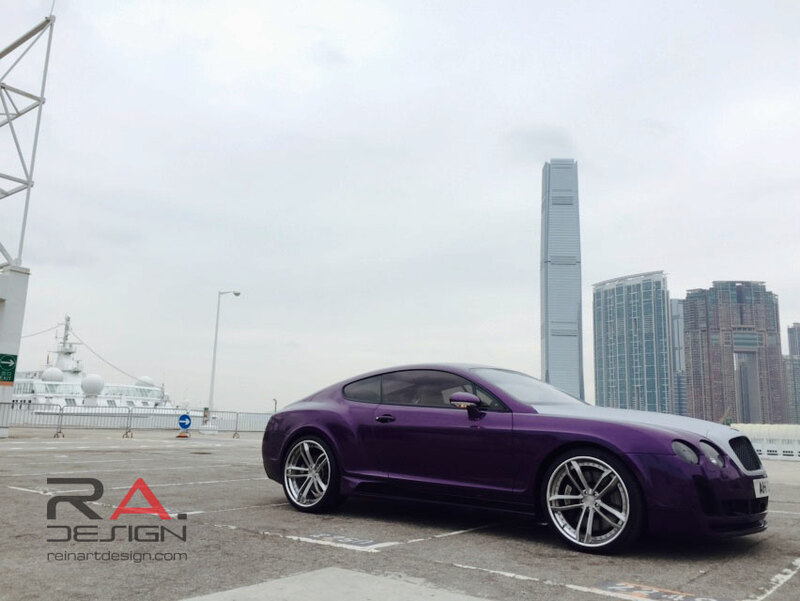 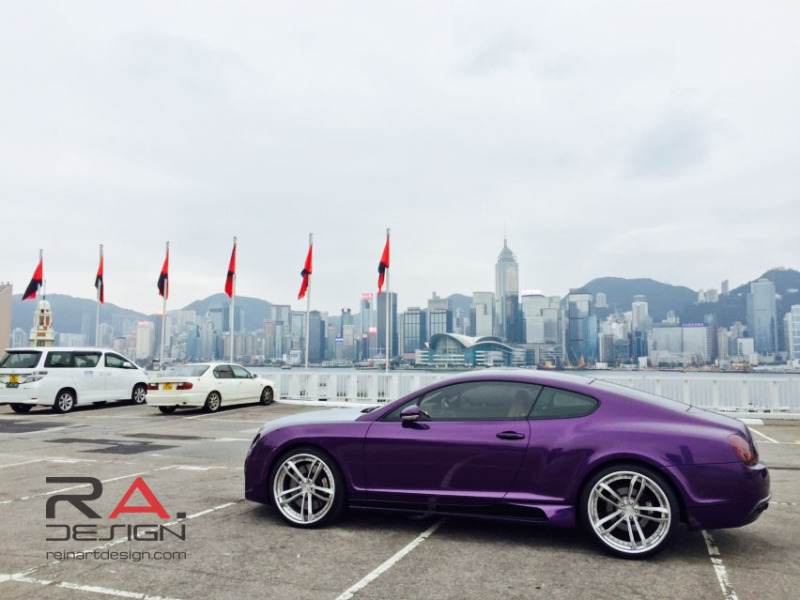 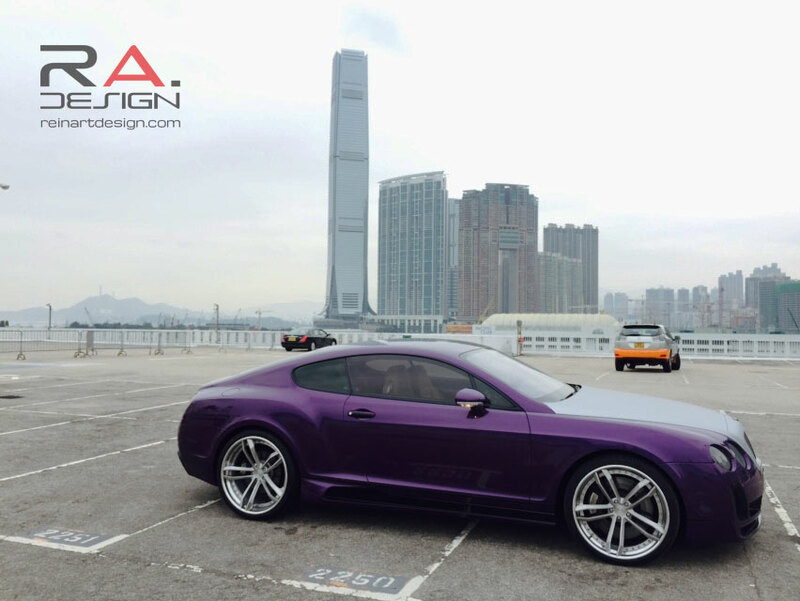 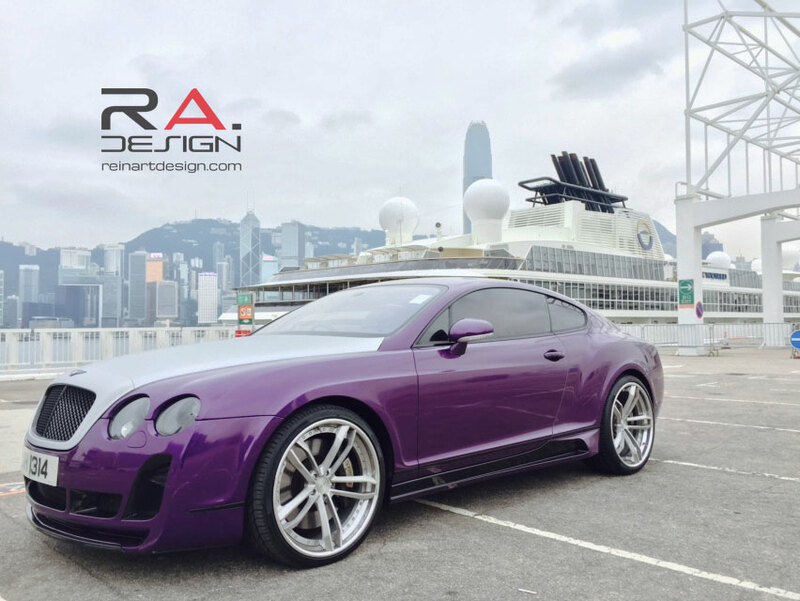 After painting the new side skirts and bumpers in the original silver color, we sent the car over to our friends at Wrap-Workz to have this car wrapped in a glossy purple color with a brushed silver hood. 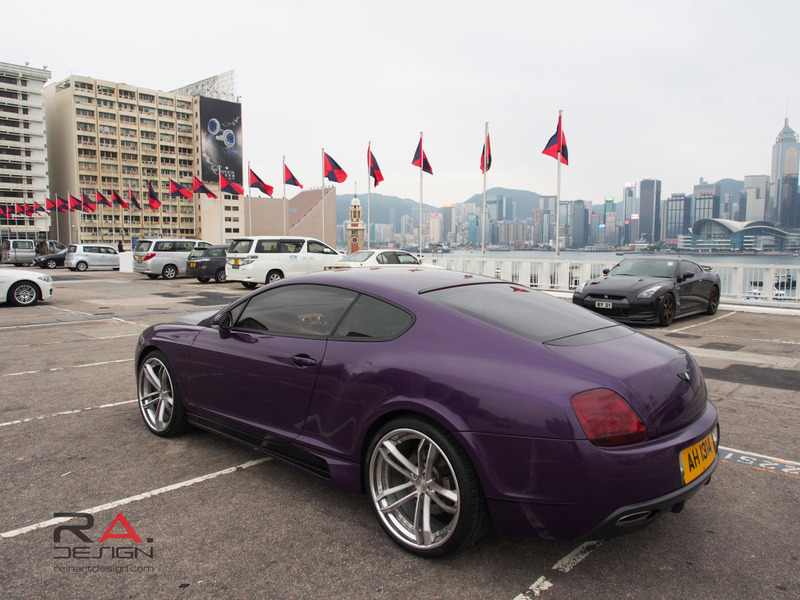 They did a fantastic job with the wrap. All that was left was to mount the car on to a set of 22″ PUR LX-14 Wheels with a brushed silver center and polished lip.